If you want your last words to be the same as Salvador Dali’s simply text: “Where is my clock?” while you drive. 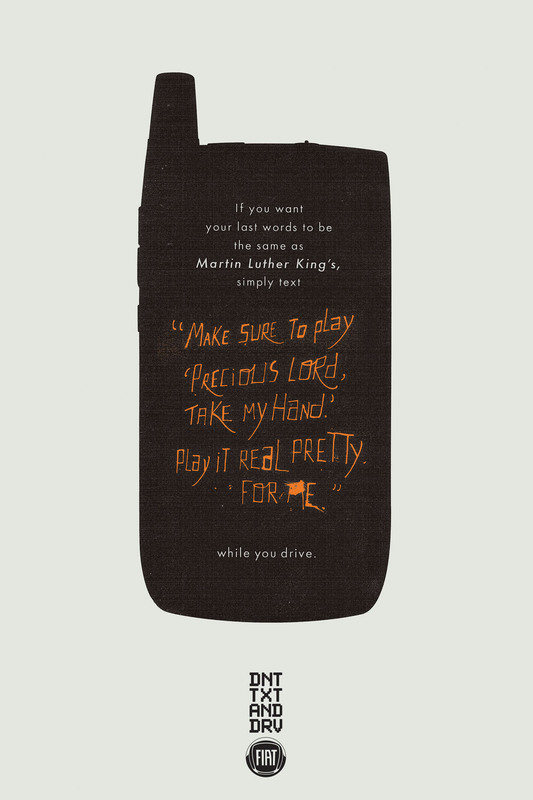 If you want your last words to be the same as Martin Luther King’s simply text “Make sure to play ‘precious lord, take my hand.’ Play it real pretty. For me” while you drive. 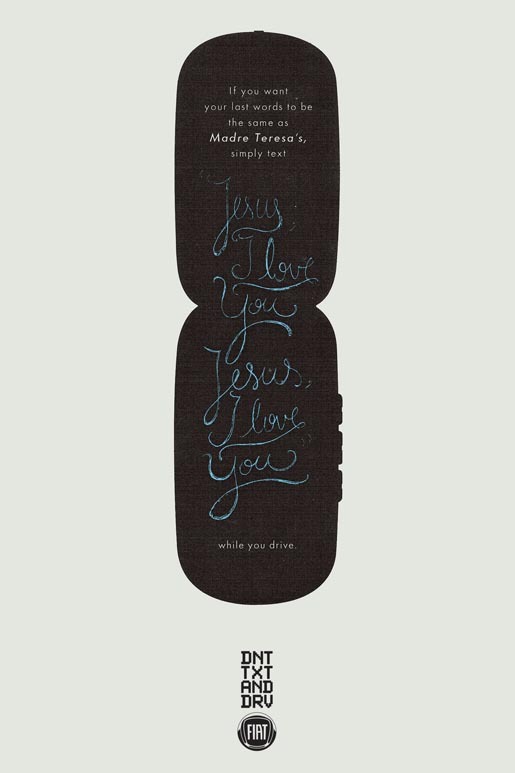 If you want your last words to be the same as Madre Teresa’s, simply text “Jesus, I love you. Jesus, I love you” while you drive. 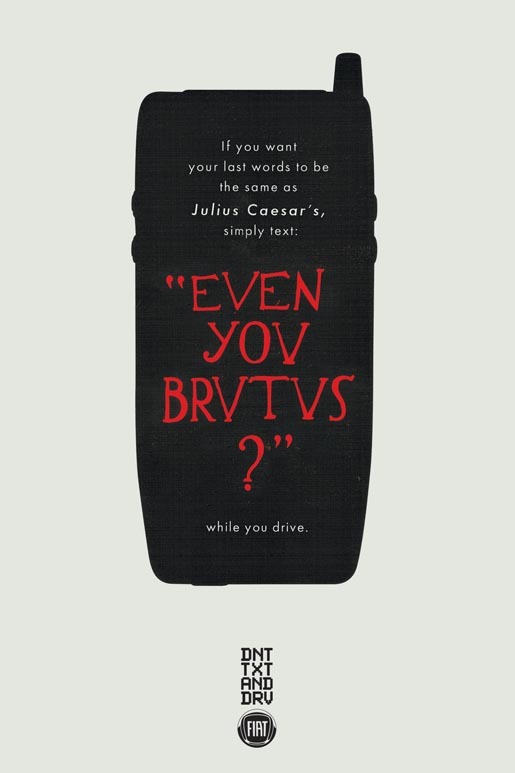 If you want your last words to be the same as Julius Caesar’s, simply text: “Even you Brutus?” while you you drive. 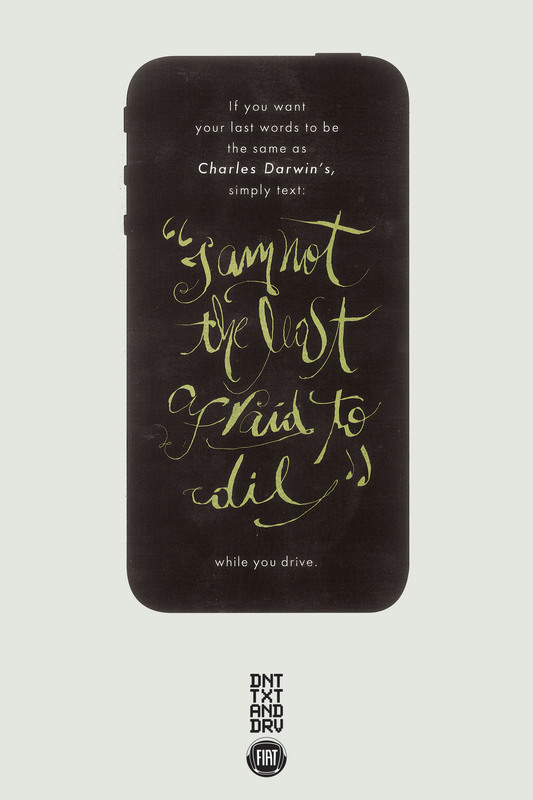 If you want your last words to be the same as Charles Darwin’s, simply text: “I’m not the least afraid to die” while you drive. 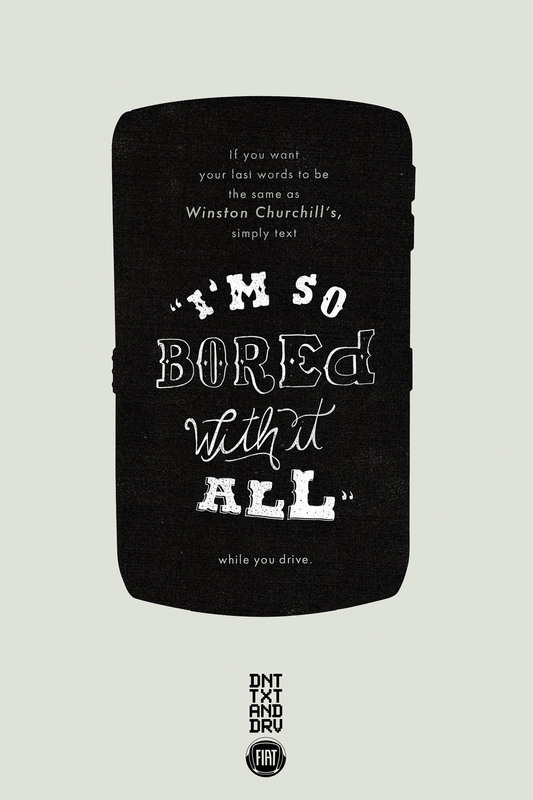 If you want your last words to be the same as Winston Churchill’s simply text “I’m so bored with it all” while you you drive. The Last Words campaign was developed at Leo Burnett Tailor Made, Sao Paulo, by creative director Marcelo Reis, art director Murilo Melo, copywriter Julio D’Alfonso, typographer/illustrator Mário Niveo, account managers Cíntia Mourão, Raphael Pinho, Daniela Ferreira and Eduardo Crepaldi, planners Marcello Magalhães and Tiago Lara, media managers Fernando Sales, Daniela Franco, Leonardo Gomes, Thais Galluci and Caio Lima.